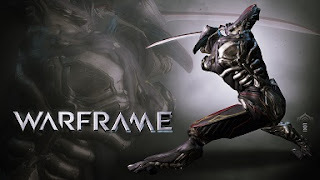 Having let my Final Fantasy 14 subscription lapse, and seeing as how I've got about 3 months of Pool of Radiance videos left to be posted, I've been whiling away my life playing Digital Extremes' free to play MMO Warframe. You may not have heard of Digital Extremes, but they're responsible for one of the forgotten gems of gaming: the ridiculously fantastic Dark Sector. While I'm at it, Dark Sector is also available on Steam, and you should probably buy it. It's an over-the-shoulder shooter type game. You can upgrade weapons and kill horrible mutants in it. I haven't played my copy in a long time, but it's a really fun game. 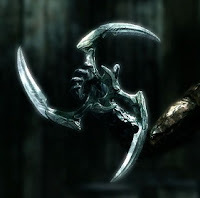 Oh, and there's another reason you should play Dark Sector: your primary weapon is a glaive. Just like Corwin in Krull. Except that, unlike Corwin, you actually use the damn thing. Sure, it's slowly killing you and turning you into some kind of horrible mutant, but still. Come on man. 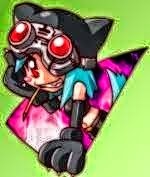 Glaive. Anyway, we're not here for my rambling, I'm here to talk about Warframe. Warframe takes place some time in the far future. There's plenty of lore that you can unlock and learn as you progress, and it's interesting, but I've only a passing familiarity with it. What comes across right at the outset is that you're a race known as the Tenno. Essentially, you're a space ninja. You're even wearing split toe shoes. You can even flip out and kill people with a sword. The game trucks along nicely, giving you plenty of options for gather materials and experience (er, "affinity") while also giving you a questline to follow that unlocks more stuff for you to see and do. There's a nice balance between faffing about and nose-to-the-grindstone quest work.